The Art of Coffee is proud to promote the arts on the Northern Neck. This, of course, includes supporting the numerous and talented musicians. While hosting live music was always part of our plan we got a kick-start shortly after opening from our local middle school students who pitched the idea of Project Face the Music. They booked music acts for us, helped with the promotion and in turn they used the experience as their project for which they won second place in the Virginia Problems Solvers Competition and FIRST PLACE in the International Problem Solvers Competition. Pretty impressive for 8 kids from little-ol Montross. In our fourth year of business we’ve been hosting live music every third Friday of the month and plan on continuing as long as we have local musician willing to fill our coffeehouse with sound. Holly and actress Kelly Carlson in the coffeehouse. 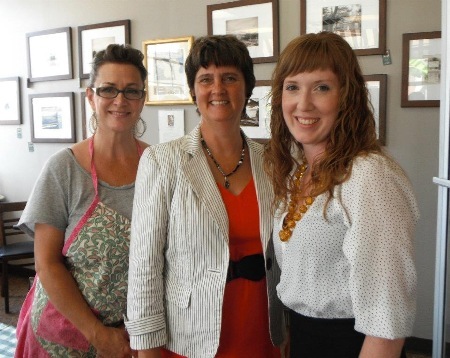 Holly, Anne Holton (wife of now Senator Tim Kane) and Deanna following a luncheon at The Art of Coffee. — with Holly Harman, Anne Holton and Deanna Lavery. 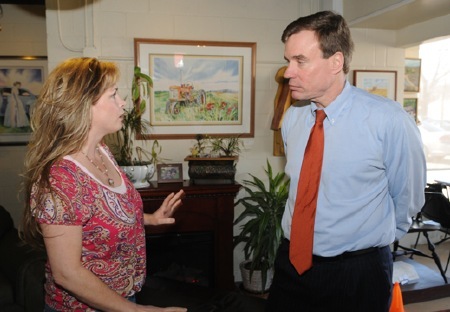 Holly with Senator Mark Warner of Virginia during his visit to The Art of Coffee. 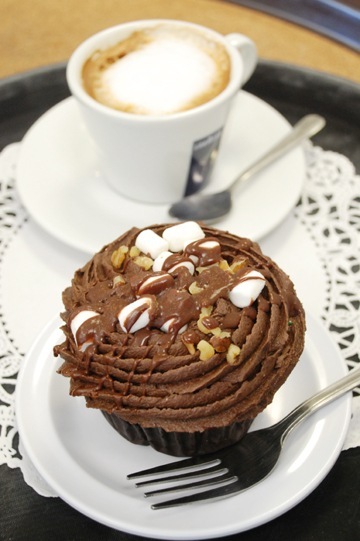 Now that’s a cupcake – add a Macchiato or coffee to that and all is well!